10 Strange Medical Conditions You May Not Have Heard. You May Not Have Heard. If you’ve ever wondered about what kinds of medical conditions there are out there that you may not know about, this is the list for you. Here are 20 strange medical conditions you may not have heard of. 1. 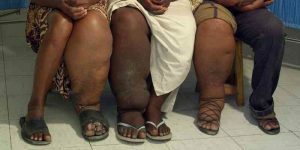 Elephantiasis can be a symptom of multiple diseases. A person suffering from this disease will typically suffer massive swelling in parts of their bodies. 2. A person who suffers from Hypertrichosis (also known as Ambras syndrome) typically has irregular and unnatural hair growth on different parts of their bodies. The hair growth can occur on one particular part of a person’s body, or can occur over the whole entire body. Hypertrichosis is also referred to as Werewolf Syndrome. 3. Fibrodysplasia Ossificans Progressiva (FOP) is a muscle tissue disease. This disorder causes muscle and connective tissue to be replaced by bone. This causes bones to form which develop outside of the skeleton. As a result, this type of abnormal bone growth restricts movement. 4. 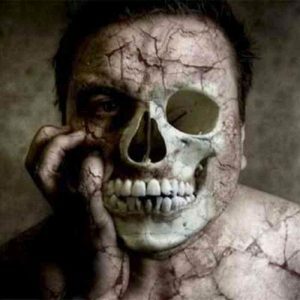 Cotard Delusion (also known as Walking Corpse Syndrome) is a mental illness in which the person suffering the illness believes that they are missing body parts or that they are dead. 5. 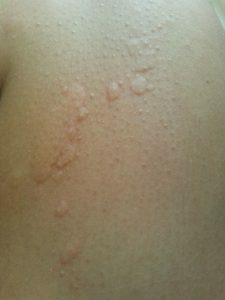 Cold Urticaria is a type of disorder which causes hives or massive red welts to form when exposed to cold weather. 6. 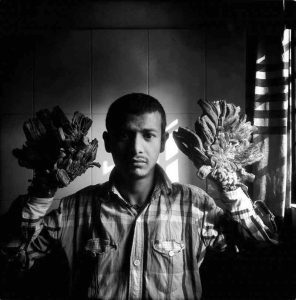 People who suffer from Tree Man Illness (Epidermodysplasia Verruciformis) are extremely susceptible to the Human Papillomavirus (HPV) on the skin. This disorder causes the person suffering from the disorder to have continuous HPV infections which result in abnormal growths on the skin. 7. Xeroderma Pigmentosum, also referred to as Vampire Syndrome, is a condition in which one’s ability to repair any damage caused by sunlight is extremely limited. Some people who suffer from this condition cannot be exposed to sunlight at all. 8. Alien Hand Syndrome is a type of condition which gives people the impression that their limbs are acting completely out of their own control. An example of this would be when a person with the condition makes a movement such as grasping an object without meaning to do so. 9. 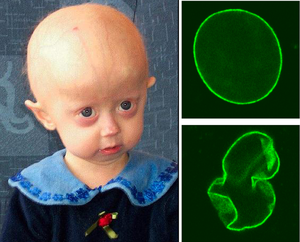 Progeria is a rare genetic disorder which begins in childhood and results in rapid aging. Symptoms increase as a child ages, and most born with the disorder only live to their mid teens or early twenties. 10. 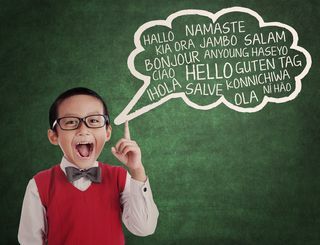 Foreign Accent Syndrome is a type of speech disorder which causes a person to speak with a foreign accent. This disorder is typically caused by a stroke or brain injury.